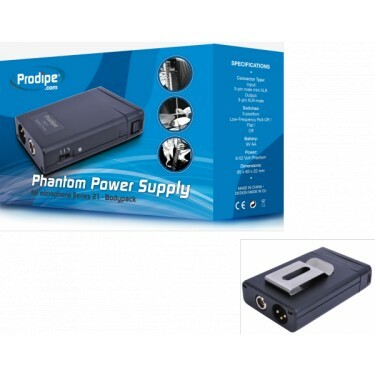 The Prodipe BP-21 is an all-metal, completely insulated Phantom Power Battery Pack that comes with a 9 volt battery compartment to power any of the instrument mics from the Series 21, like the microphone GL21 for Acoustic guitar, classical guitar & ukulele. 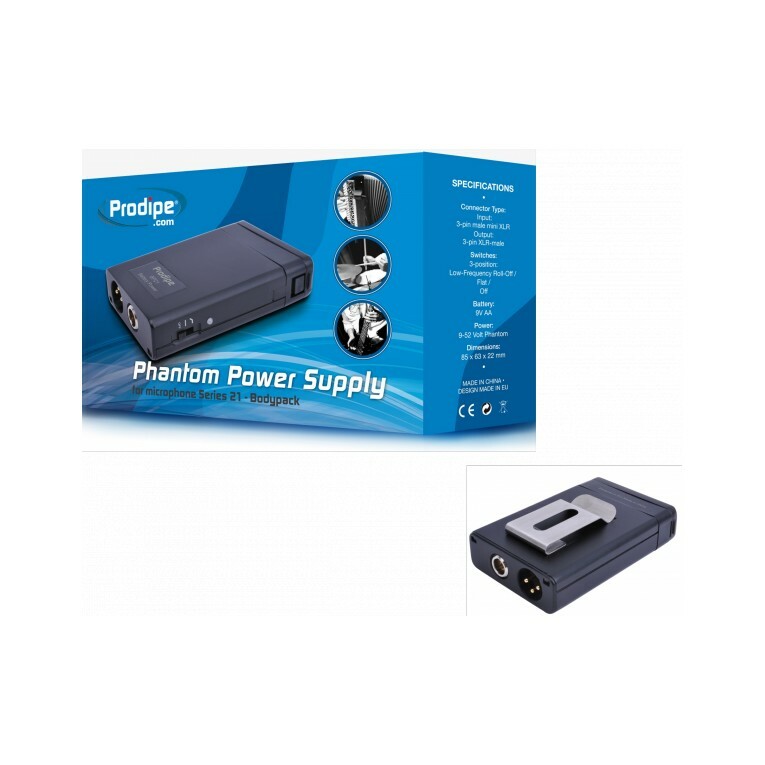 Prodipe has designed the electronics of the BP21 to ensure that there is absolutely no signal loss while on battery power. When the battery is removed, the BP21 belt pack operates as a mini XLR-XLR connector for a 48 volt power input. Prodipe has designed the electronics of the BP21 to ensure that there is absolutely no signal loss while on battery power. 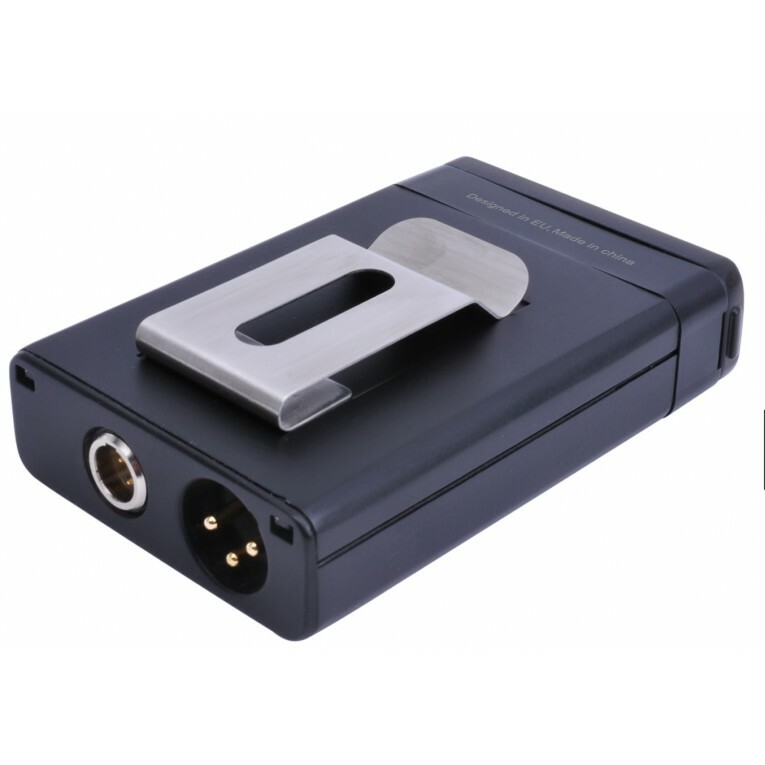 When the battery is removed, the BP21 belt pack operates as a mini XLR-XLR connector for a 48 volt power input.